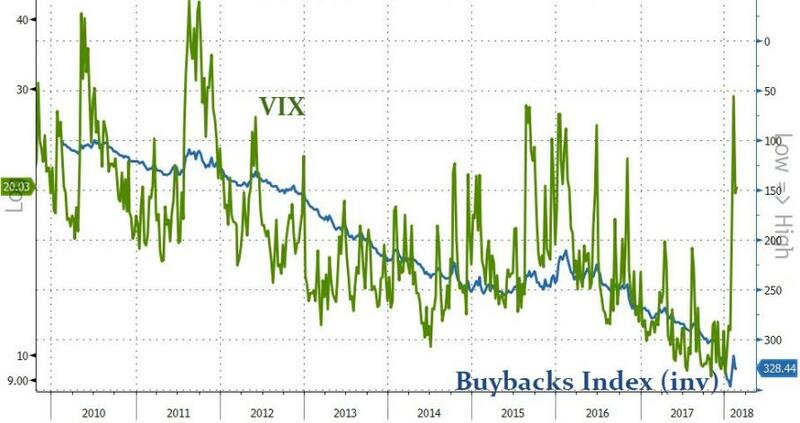 "Stock buybacks are in effect creating low volatility," says Christopher Cole, the well-known Artemis hedge fund manager who has been rightly warning that volatility has been artificially and dangerously depressed for a while. 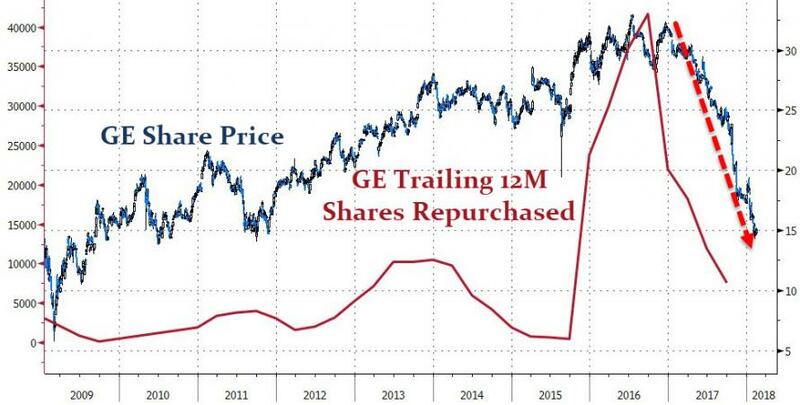 "Share buybacks are like a giant synthetic short-volatility position." Bloomberg explains the logic: Companies over the past decade or so have significantly increased buybacks to the point where they are now collectively the largest single buyer of stocks. Some have called the market self-cannibalizing. Equity shrink is the nicer way to say that. Corporations are not particularly price sensitive -- buybacks tend to rise with the market -- but they do try over short periods to buy at the lowest average price. So in a long bull market, like the one we are in now, corporations tend to step in to buy whenever there is a dip, which is what happened last week. Goldman Sachs, for one, said that its unit that executes share buybacks received a surge of orders last week. Vineer Bhansali, the chief investment officer of LongTail Alpha, who has warned about the volatility bubble, told Bloomberg that buybacks can suppress volatility for the right reasons. When companies produce more cash than they can productively reinvest in their businesses, they buy back stock, lifting prices and curbing volatility. 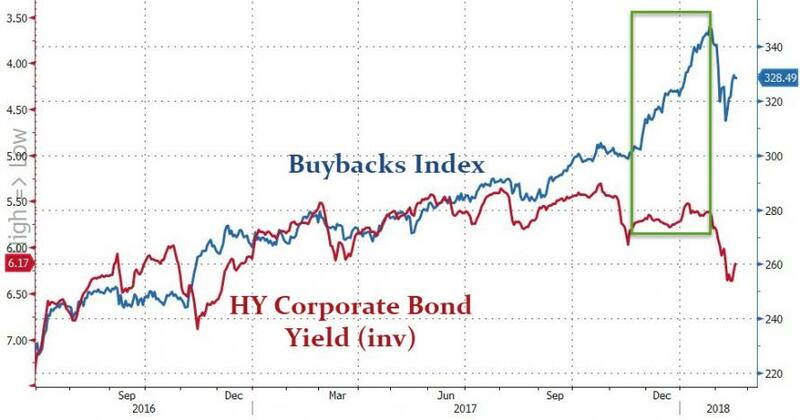 The problem, as has increasingly been the case, comes when companies fund buybacks by taking on more debt rather than with the cash generated by their operations. That's when repurchases become part of the leveraged low-volatility trade that can unwind disastrously when interest rates rise. And as we detailed last week, 2018 has been historic... already. 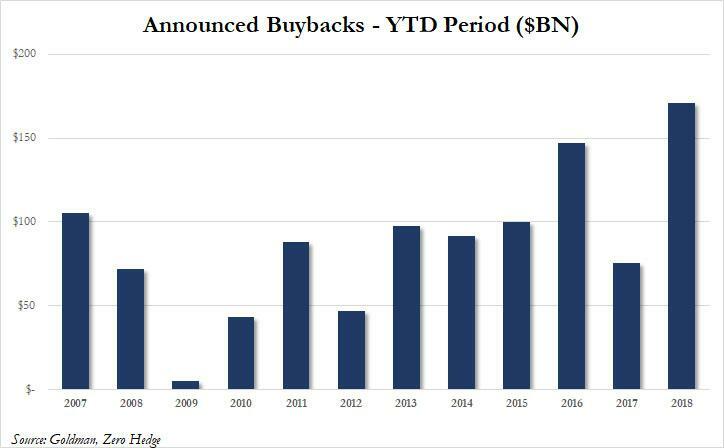 The $171 billion in YTD stock buyback announcements is the most ever for this early in the year. 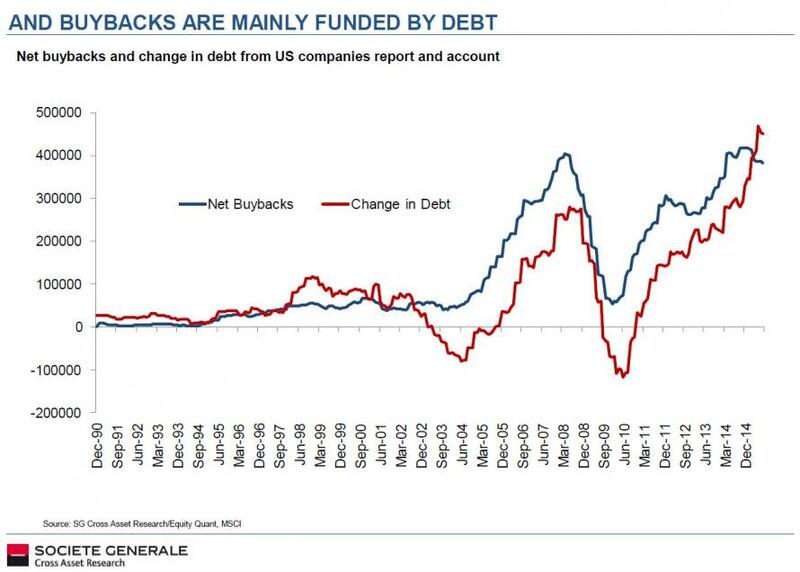 In fact, it is more than double the prior 10 year average of $77 billion in YTD buyback announcements. 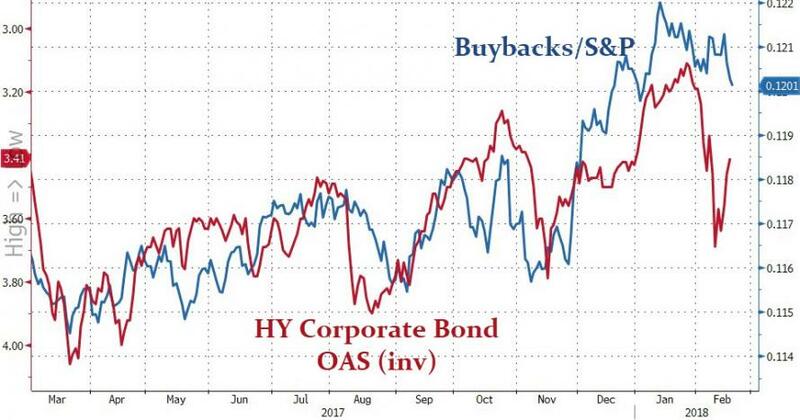 Incidentally, the record burst of stock buybacks was arguably the key driver behind last week's miraculous stock rebound. "It acts as a floor, you have a natural buyer in there," Birinyi's Jeff Rubin told CNBC. "At the end of the third quarter, companies had dry powder of over $800 billion," he said. Fourth quarter actual purchases are not yet available. But, as Bloomberg concludes, those pointing the finger at buybacks say continued corporate stock purchases -- which, unlike some of those volatility funds, survived the brief market downturn -- will make the next one far worse.